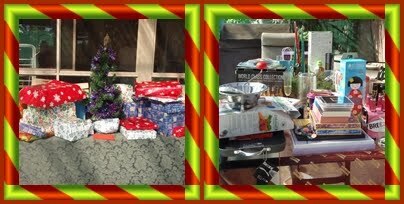 The Comber Christmas started with our traditional champagne seafood breakfast & pressie opening ceremony. 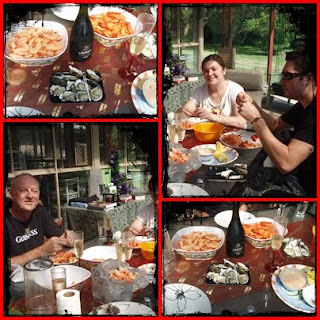 This year it was just the four of us for Christmas so we had a full on seafood day. A quiet day of relaxing and eating, even got a little gardening done. 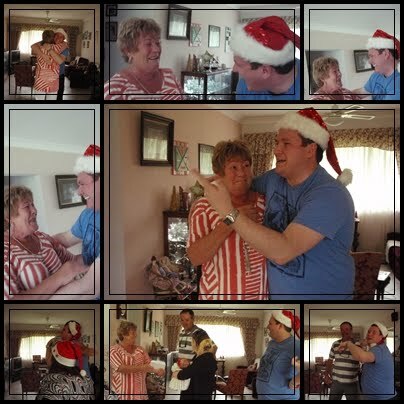 Tuesday we had the Lucas clan over for a belated Christmas celebration. 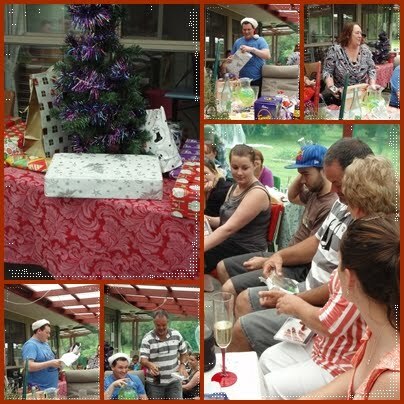 Just a few piccies of our secret Santa gift opening for the adults. 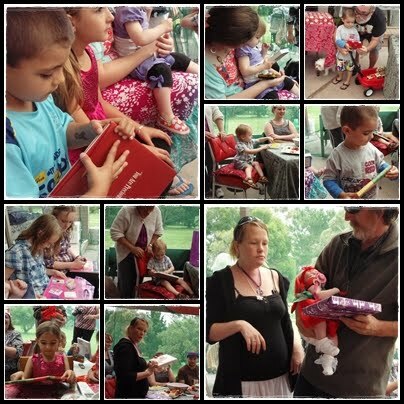 Kids opening their pressies from us. 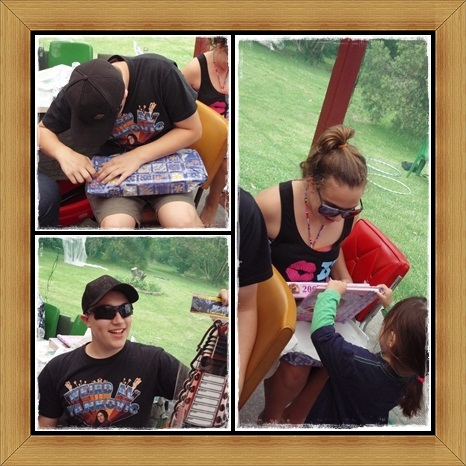 Kyle & Tasha opening pressies. 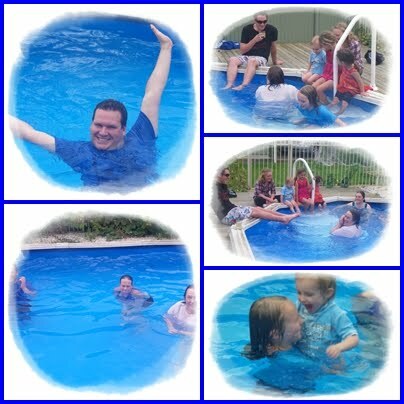 After lunch and pressies it was time to hit the pool.